Prime Minister Binyamin Netanyahu is furious with outgoing Mossad Director Meir Dagan because of the briefing Dagan gave journalists last Thursday. In the course of that briefing, Dagan shared with the reporters the Mossad’s assessment that the Iranians would be unable to develop a nuclear bomb before 2015. Yedioth Ahronoth has learned that Dagan’s statements infuriated Netanyahu, who advocates taking an aggressive approach vis-à-vis Iran. According to a high-ranking political official, Netanyahu reprimanded Dagan and said that his statements had undermined Israel’s efforts to fight against the Iranian nuclear program by means of the international community. One of the most historically important statements to have been made in the past ten years in the State of Israel made headlines in the Israeli media on Friday for a single day. It elicited a few reactions and a few brief analyses — and disappeared. Dagan, a suspicious super-cautious individual who routinely prefers to err on the side of pessimism…The Iranian nuclear threat died. It keeled over. Because, if the director of the State of Israel’s Mossad is prepared to risk saying that Iran won’t have even a single nuclear bomb “at least until 2015,” that means that Iran is not going to have a nuclear bomb. Period. For more than a decade, Israel has been living under the thickening cloud of the Iranian nuclear bomb. The military, economic and even the social agendas in Israel have been directly influenced by it. 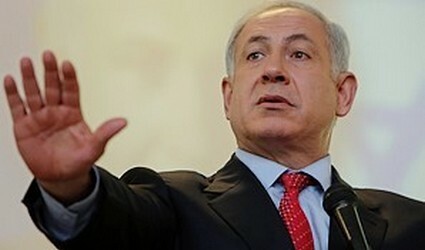 The election of Netanyahu as prime minister (and Barak’s joining the coalition) were explained by the need to place at the head of the state and the security establishment people who would be capable of leading the people and the army in this decisive year in dealing with Iran. From time to time, in light of the foolish things that the two of them have done, public opinion was asked to be forgiving of them because of the weight of the Iranian threat that lay on their shoulders. Dagan’s statement about the lifting of the Iranian nuclear threat frees Israel from the clutches of a nightmare that we were either conscious of or not, but which cast a giant black shadow over all of us. Farewell, Iranian bomb. In your absence, the time has ripened to place other issues at the top of our agenda. And there is no lack of other issues. Indeed, Israel’s diplomatic isolation and the rapid evaporation of what remains of its democracy would be a good place to start. One of the most historically important statements to have been made in the past ten years in the State of Israel made headlines in the Israeli media on Friday for a single day. It elicited a few reactions and a few brief analyses — and disappeared. The statement was ascribed to (and was not subsequently denied by) the outgoing Mossad director, Meir Dagan. 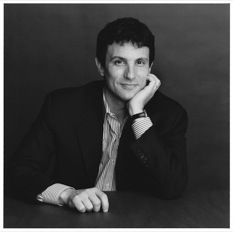 Dagan, a suspicious super-cautious individual who routinely prefers to err on the side of pessimism, was quoted as having said: “Iran will not have nuclear military capability at least until 2015.” The reason cited for this: technical difficulties and malfunctions, which have stymied Tehran’s efforts to get its military nuclear program off the ground. For the sake of accuracy, and the Mossad relies on accuracy, the above-cited “technical difficulties and malfunctions” have already caused that initiative a few years’ worth of setbacks. He [Israeli Prime Minister Benjamin Netanyahu] said he was ready to sit with Abbas, also known as Abu Mazen, for “continuous direct one-on-one negotiations until white smoke is wafting,” an allusion to the Vatican’s custom for announcing a new pope. “If Abu Mazen agrees to my proposal of directly discussing all the core issues, we will know very quickly if we can reach an agreement,” he said. In the past weeks, Israeli representatives, including Netanyahu, have repeatedly rejected official documents that their Palestinian counterparts have tried to submit to them, with details of the Palestinian positions on all the core issues. The Israeli representatives are completely unwilling to discuss, read or touch these documents, not to speak of submitting an equivalent Israeli document with the Israeli positions…This completely contradicts the Israeli position, according to which everything is open for negotiation, and Netanyahu is willing to talk about all the core issues and go into a room with Abu Mazen in order to come out of it with an arrangement. If this is the case, there is no reason for the Israelis not to willingly accept a review of the Palestinian positions in order to present counter-papers that will make it possible to start bridging the gaps. in a meeting that was held between Prime Minister Binyamin Netanyahu and Abu Mazen, in the prime minister’s official residence in Jerusalem. It has now become apparent that in this meeting, Abu Mazen brought an official Palestinian document for Netanyahu, consisting of two printed pages, with the proposed Palestinian solution on the two issues that the sides were supposed to discuss at the first stage: Security arrangements and borders. Netanyahu refused to read or discuss the document. Abu Mazen is said to have left the document at the Prime Minister’s Residence (so that Netanyahu could read it later). 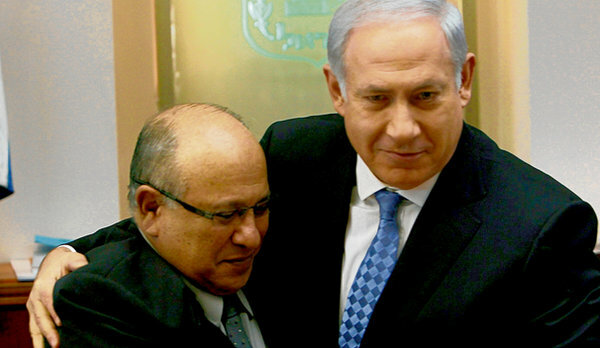 Prime Minister Binyamin Netanyahu announced yesterday that he was willing to discuss all the core issues with Abu Mazen in closed meetings, and said that if he were to go into the room with the Palestinian leader he would sit down and discuss all the issues with him “until white smoke rises.” Ma’ariv has found that in reality, the situation is the complete opposite: In the past weeks, Israeli representatives, including Netanyahu, have repeatedly rejected official documents that their Palestinian counterparts have tried to submit to them, with details of the Palestinian positions on all the core issues. The Israeli representatives are completely unwilling to discuss, read or touch these documents, not to speak of submitting an equivalent Israeli document with the Israeli positions. Do you see a certain change in the US Jewish community? “A new generation of Jews is growing up in the US. Their relationship with Israel is becoming less patient and more problematic. They see what has happened with the Rabbinical Letter [proscribing rental and sale of property to Arabs — DR], for example. How long can you expect that they’ll love unconditionally the place called Israel [sic]? You’ve got a problem. You have the status of an occupier since 1967. It’s been happening for so long that even people like me, who understand that not only one side is responsible for the conflict and that the Palestinians missed an historic opportunity for peace in 2000, can’t take it anymore. 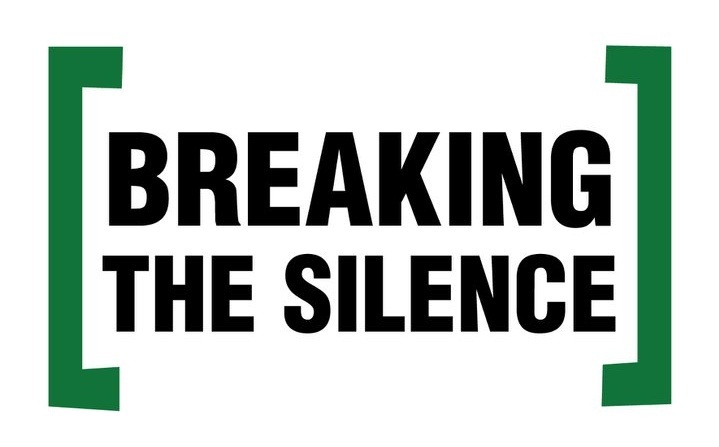 Breaking the Silence has just published a landmark collection of soldier testimonies from the Occupied Territories spanning the period 2000-2010. The 432 page book can now be browsed, downloaded and embedded here. From the descriptions given by the soldiers, one comes to grasp the logic of Israeli operations overall. The testimonies leave no room for doubt: while it is true that the Israeli security apparatus has had to deal with concrete threats in the past decade, including terrorist attacks on Israeli citizens, Israeli operations are not solely defensive. Rather, they systematically lead to the de facto annexation of large sections of the West Bank to Israel through the dispossession of Palestinian residents. The widespread notion in Israeli society that the control of the Territories is intended exclusively to protect the security of Israeli citizens is incompatible with the information conveyed by hundreds of IDF soldiers. The Israeli security forces and governmental bodies make consistent reference in the media and in internal discussions and military briefings to four components of Israeli policy in the Territories: ‘preventing terrorism’ or ‘prevention of hostile terrorist activity’ (sikkul); ‘separation’, i. e., Israel’s “separating itself” from the Palestinian population (hafradah); the need to preserve Palestinian ‘fabric of life’ (mirkam hayyim); and ‘law enforcement’ (akhifat hok) in the Territories. But the terms that Israeli security forces apply to various components of Israeli policy in the Territories present a partial, often distorted, description of the policy and its consequences. These terms, once descriptive, quickly become code-words for activities that are unrelated to their original meaning. This book describes the Israeli policies in the Territories which the State of Israel’s institutions do not disclose. The men and women soldiers whose testimonies appear in this book are an especially reliable source of information: they are not merely witnesses to Israeli policy; they have been entrusted with the task of carrying it out, and are — explicitly or implicitly — asked to conceal it as well. This Maariv article [full translation below] from Friday is particularly badly written and repetitive, so I’ll summarize. He approaches the Meretz representatives on the Jerusalem city council and they, with international human rights organizations, approach Adidas. Adidas smells a possible consumer boycott and gets cold feet. The company demands “clarifications” from the Jerusalem municipality. What does that mean? Time (and persistence) will tell. The sports giant Adidas, which is sponsoring the Jerusalem International Marathon, requested clarifications from the Jerusalem Municipality about the manner in which the event would be conducted [sic]. Sources in the company [say they] are even considering withdrawing the sponsorship because of fears of a consumer boycott, after it became clear that the route also runs through neighborhoods beyond the Green Line. The company’s communication with the Jerusalem Municipality follows a series of protests it received from human rights organizations across the world, demanding that the company cancel its sponsorship of the marathon, which is scheduled for March 2011. Like most of the world, Israel is facing a major energy crisis. Our population is growing and per-capita energy consumption is on the rise. Israel’s efforts to build a nuclear power plant are the result of a report prepared by a large international energy company, which was submitted to the Infrastructure Ministry. The report states that a nuclear plant is the best solution, given the energy situation in Israel — both in economic terms and in terms of ensuring Israel’s energy supply. According to the report, Israel is not capable of carrying out such a project on its own — and therefore it would have to purchase a reactor as an “off-the-shelf product” from one of the prominent manufacturers in the market, such as the French company AREVA or the American company Westinghouse. Until now, Israel has encountered strong opposition by the world — mainly on the part of the United States — to manufacturing electricity from a nuclear plant in Israel, since it is not a signatory of the Nuclear Non-Proliferation Treaty (NPT). Our leaders, however, always have a “creative solution” (most Israelis would call it a “combina”) up their sleeves. However, the Infrastructure Ministry, with the support of the prime minister, is examining a creative possibility for circumventing the international opposition: To declare the site of the power plant that will be built as an ex-territorial area to the State of Israel. This means that a foreign company, French or American, will build the reactor and also own the land upon which it is located. 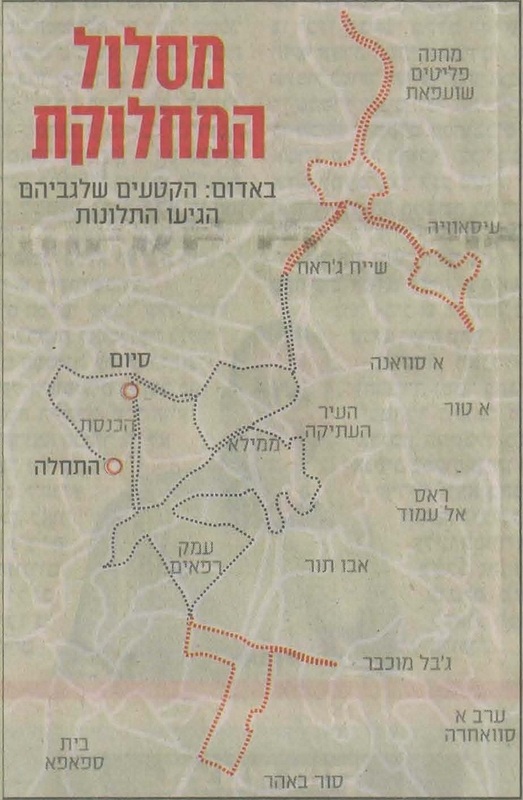 Senior Infrastructure Ministry officials say that this means that the land will not be under Israeli sovereignty, and it will be possible to bypass the obstacle in this manner. 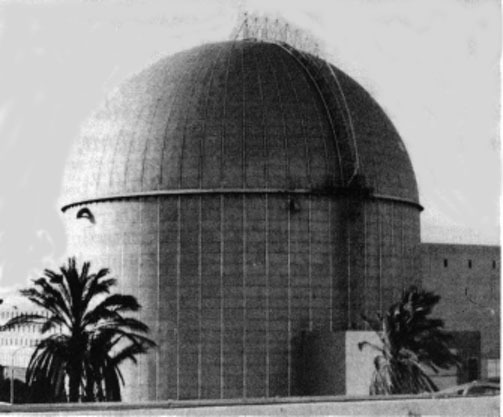 Has the Israeli government found a creative way to build a nuclear power plant? Until now, Israel has encountered strong opposition by the world — mainly on the part of the United States — to manufacturing electricity from a nuclear plant in Israel, since it is not a signatory of the Nuclear Non-Proliferation Treaty (NPT). The Infrastructure Ministry and Israel Electric Corporation are already preparing to build a nuclear power plant: The Israel Atomic Energy Commission is currently conducting, together with the Infrastructure Ministry, a joint feasibility study for building nuclear reactors for producing electricity in Israel. The results of the study are due to be published at the start of 2011, and will address all the aspects related to nuclear power plants: Safety, economic profitability, new technologies in the field and geopolitical aspects. In 1834, a clothes salesman in London refused to sell an article of clothing to a customer. The refusal stemmed from the fact that the buyer was “just a Jew.”The Jewish buyer sued the salesman, but the court in the Timothy case supported the salesman. It was not a just trial, but the judge employed a sacred principle, the freedom of contracts, according to which a person can choose with whom he wants to enter into a contract and whom he does not. This sanctity was a disgrace and a refuge for ugly prejudice. The court’s non-intervention only supplied ammunition to the strong and violent versus the human and the weak, and the usual outcome of giving “freedom to wolves,” as Prof. Isaiah Berlin put it, is “death for sheep.” Since then, the sanctity of the freedom of contracts has been made subject to the demand of good faith. It can no longer serve as a refuge for racists. In the Israeli ruling in the case of Naamne vs. Kibbutz Kalia, Judge Miriam Mizrahi ruled that one cannot rely on freedom of contracts to prevent Arabs from entering a water park. Now Jewish clerics are using a different sanctity, the sanctity of the Torah, to cover their racist shame. They will find that the sanctity cannot legitimize the ugliness. Their prejudice will also be consigned to the dustbin of history, along with the ridiculous ritual that surrounds it.